“Vote for your favorite European film and win a trip to the European Film Awards in Berlin!” this slogan appeared in the press-release forwarded by EFA (European Film Academy) today. September 1, 2011. Berlin. Every year, the EFA People’s Choice Award allows film fans across Europe to select, vote for and elect their favorite film. When the European Film Academy invites its members, Europe’s greatest film stars, directors, actors and actresses, to attend the European Film Awards, the People’s Choice Award sheds a spotlight on the people films are made for, the audience. and win a chance to attend the 24th European Film Awards on Saturday, December 3, 2011, in Berlin. 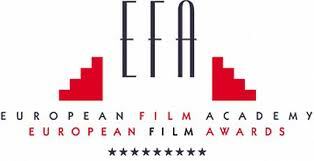 The EFA People’s Choice Award winners in the past were Pedro Almodóvar’s Volver, Roberto Benigni’s La Vita E Bella, Jean-Pierre Jeunet’s Amélie, Fatih Akin’s Head-On, and Danny Boyle’s Slumdog Millionaire. The European Film Awards 2011 are presented by the European Film Academy e.V. and EFA Productions gGmbH with the support of the Capital Cultural Fund, FFA German Federal Film Board, the German State Lottery Berlin, the German State Minister for Culture and the Media, Hôtel Concorde Berlin, the MEDIA Programme of the EU, Medienboard Berlin-Brandenburg, and TNT Express. There are some attention-grabbing time limits in this article but I dont know if I see all of them middle to heart. There is some validity however I’ll take hold opinion till I look into it further. Good article , thanks and we would like extra! I recently worked as the prop supervisor on a play called “Edgewise,” written by Aliza Clark and directed by Trip Cullman.